Successfully Added Huawei Honor 5A Smartphone - Android 6.0, Octa Core CPU, 2GB RAM, 3000mAh, 5.5 Inch HD Display (White) to your Shopping Cart. The Huawei Honor 5A is the perfect smartphone for everybody out there that is looking for a budget friendly device created by a trusted and well-respected smartphone manufacturer. Compared to other budget phones out there, this cheap smartphone features superb specifications that, along with its Android 6.0 operating system, are guaranteed to deliver a smooth and powerful performance. On its beautiful 5.5-Inch display that has been placed within its sleek and stylish body, you will be able to enjoy all your favorite media in stunning HD resolution. Whether you’re into online gaming, movies, or simply like to enjoy the latest mobile applications – this budget Android phone will provide you with vivid color and stunning detail. Packing a sophisticated 3000mAh battery, this Android smartphone holds enough power to get you through a day filled with phone calls, messaging, and mobile entertainment without needing to worry about running out of juice. Thanks to its powerful Octa-Core CPU and 2GB of RAM, the Huawei Honor 5A is capable if dealing with the latest mobile applications, games, and movies alike without dropping a frame – allowing you to take the absolute most out of all this beautiful Chinese budget smartphone has to offer. Along with its powerful processor comes a Mali-450MP graphic’s unit that supports the usage of graphically intensive games and media, letting you enjoy great visuals and vivid color whenever you turn on your device. No matter for what purpose you use this cheap Android phone, the Huawei Honor 5A is guaranteed to meet your demands. What sets this Chinese smartphone further apart from its competitors is that, unlike most budget phones out there, the Huawei Honor 5A features a truly amazing 13MP rear camera. Shoot breathtaking images and capture stunning footage - from now on not a single special moment in life will pass by uncaptured. With 16GB of internal memory and the added possibility to throw in 128GB of external storage, you can be assured that besides all your media, games, and applications this Chinese smartphone holds plenty of space to save all your freshly snapped pictures and videos. Featuring Dual-IMEI numbers and 4G connectivity, the Honor 5A is an Android phone that keeps you connected at all times. By allowing you to be reachable on two phone number while using just one device, this Chinese smartphone is the perfect device on which to separate your work and private life. Additionally, it allows you to throw in a foreign SIM card while traveling abroad – letting you connect to the internet at local fees while, simultaneously, staying within reach to your friends and loved ones back home on your old and trusted domestic phone number. No matter where life will take you next, with the Huawei Honor 5A at your side, you’ll always stay connected and never miss a thing. 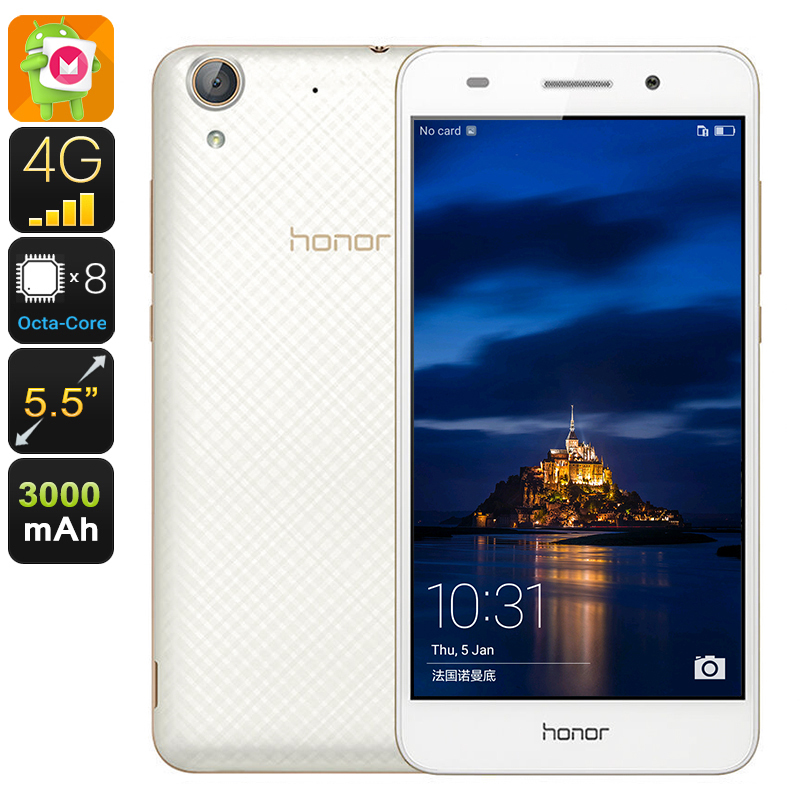 The Huawei Honor 5A comes with a 12 months warranty, brought to you by the leader in electronic devices as well as wholesale electronic gadgets..